Greek sandals made of synthetic suede and patent. The insole is leather. 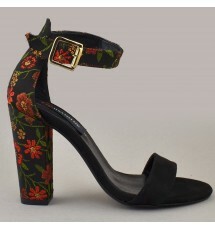 The heel is 9,5 cm ..
Greek sandals made of synthetic suede and patent. The insole is leather. 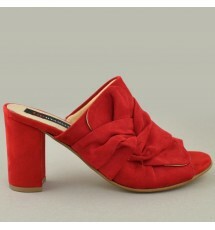 The heel is 8 cm ..
Mules made of synthetic suede. The insole is leather. The heel is 8 cm. Made in Greece ..
Sandals of synthetic suede made in Greece. The insole is leather. The heel is 8 cm ..
Greek suede mules. The inside is leather. The heel is 5,5 cm ..
Sandals of synthetic suede, made in Greece. The insole is leather. The heel is square 8 cm hei..
Greek sandals of synthetic suede. The insole is leather. The heel is 7.5 cm ..